I’m noticing a pattern in my relationship with God: not only do I learn new things, but He takes familiar truths and redefines them. For example, in high school, I absorbed the term sanctification as God’s shaping me to be more like Jesus. But in my spirit-and-flesh wrestling through life, I’ve been tempted to think of sanctification as ‘you’re not enough as you are, you always need to be growing,’ or ‘keep your spiritual act together, don’t mess up.’ This belief cultivates an anxious obedience and a lack of joy in faithfulness, not connection to God. Sanctification, including the Father’s loving discipline, is living in a right relationship to Jesus Christ, the Master, that brings and sustains right thoughts, feelings, choices, and habits, enabling one to do what is right (Dallas Willard). Spiritual maturity is living dependent on God, not independent of Him. This year, my relationship with God has felt a bit like an unpredictable roller coaster, and believing Him hasn’t come easily or felt warm or bright, but maybe it’s better that way. I often felt like the person James refers to, “who doubts like a wave of the sea, blown and tossed by the wind” (1:6). Not that I doubted God’s existence or love or the Bible as truth, but I vacillated between trusting God, the world I could see, or my own abilities and feelings. The fight to believe God felt messy and tiring and discouraging. Today, almost in 2018’s last month, why do I say this season of warfare might be better than easy belief? Because it’s difficult to be satisfied in Christ if I’m never truly hungry for Him. When we circle the desert, looking at ourselves or others to fix or change or be enough, we live in perpetual thirst. With the help of dear friends and Spirit-filled authors, I was challenged to take my lack of easy belief and dig deeper, despite my feelings; to seek more diligently, in spite of the temptation to quit; to confront my prideful tendencies, even though the admission felt shameful. I brought my seemingly empty, struggling, no-idea-what-else-to-do self before Him and asked to be filled with something new. It is not in trying harder, but in the yielding to Him to work where belief is strengthened and renewed. It’s in the ‘I’m not enough, You’re enough‘ confession the Holy Spirit breathes a new layer of trust into my heart. It’s my desperate need of help to be the sweetest place to be, because God is an inexhaustible fountain and will never not give of Himself to His children who ask. God surprised me. In an uncomfortable season where belief felt unstable and my flesh ran out and His presence didn’t seem close, I learned a degree of greater ‘certainty that what we hope for is waiting for us, even though we cannot see it up ahead’ (Hebrews 11:1 TLB). And wherever you find yourself, so can you. The judgment we deserve was absorbed by Jesus on the cross, so every challenge, pain, discipline, dry season, and sanctifying path has a purpose, not as punishment, but as gracious provision. What if our weakness and need and humility is the gateway to more of God? Yes. What if grace not accepted as a gift is grace not being authentically lived? Woah. What is pleasing God is not found at all in living independent of Him to any degree, but dependent on Him? Praises. 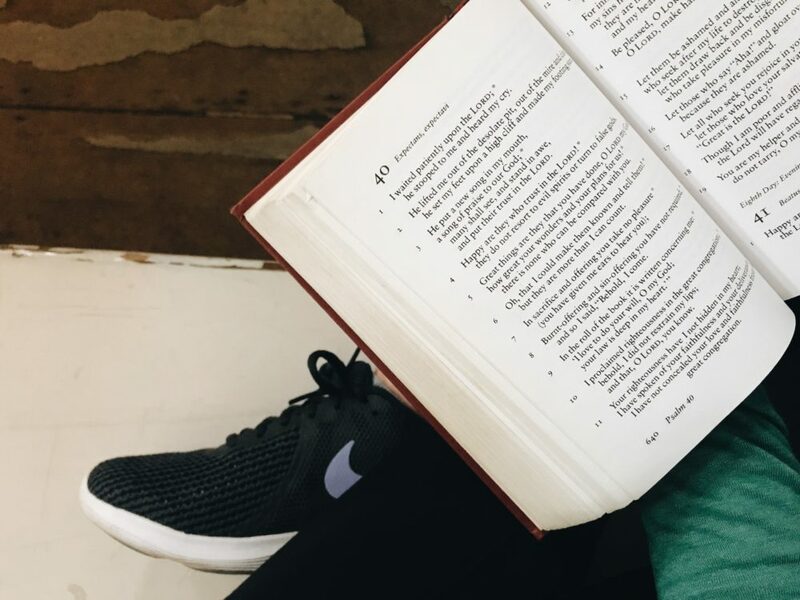 What if believing God’s Word with our minds is all we can do, even if our feelings are super slow to catch up? More than okay. My best stance on this earth is a posture of receiving – all of Him as all I need (Philippians 1). It’s a position of tasting and seeing God as enough that brings Him glory, invites Him in, and changes us. It’s a rolling every burden onto the shoulders of Christ. It’s finding joy in being hidden in Him. It’s confidence that nothing can separate us from His love. In all honesty, maybe I don’t want my faith to be easy breezy all the time, because I might not experience the magnitude of the gospel or the wonder of God as my lifeline. Ask me again the next time a season like this comes around. What stops you from coming in need before God? Has God ever surprised you? What distracts you from being His beloved? What kind of season are you in with God? I’d love hear some of your story!